Hello, Fiona, thank you for having me on your blog. Hello everyone, my name is Patti Liszkay. My age is – well, let’s just say I’ve been alive for more rotations of the sun than one could count on all one’s fingers and toes, even if one had a double set of fingers and toes. Columbus, Ohio for the last few decades, though I grew up in Philadelphia. Well, though I consider myself a writer first and foremost, if I had to depend strictly upon my writing income I’d be pretty skinny, so I teach piano lessons to earn my daily bread. I started out writing short stories for magazines back when commercial magazines used to publish more short stories. I’ve subsequently written a couple of plays, and a comedy I wrote called “The Cosmic Oy” was locally produced by The Curtain Players of Westerville. I also co-wrote a musical comedy, a Western called “The Town of Hard Times,” about a group of mail-order brides who get delivered to the wrong town. Unfortunately our musical never quite made it to Broadway but it did have a pretty long run in my living room and the living rooms of my friends with myself and some musical colleagues as the cast. In fact I still have some copies of the soundtrack that we made and never sold. And now I’ve taken my first fling at a novel which, fortunately, has had a bit more success than my musical. 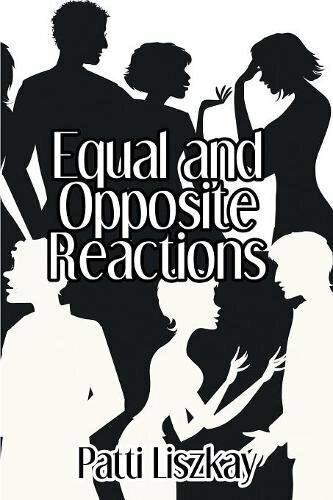 My novel, “Equal and Opposite Reactions,” a romantic comedy of errors – lots and lots of errors – was published last year by Black Rose Writing. Set in working-class Northeast Philadelphia where I grew up and told in urban voices, “Equal and Opposite Reactions” tells of the chain of events that unwinds when Sally Miller, a newly-divorced, financially and emotionally struggling young mother and Silvio Jablonski, a broken-hearted plumber who shows up to fix Sally’s toilet, learn to their shock that they have something strangely in common. This discovery both pulls them into a relationship and leads them down a rabbit hole that causes their lives to become entwined with a constellation of characters from around the Philadelphia area. Included among the characters are Sally’s over-extended, real-estate-managing ex-husband; Silvio’s seductive, sexually manipulative ex-wife; a shady South Philadelphia salvage yard operator; a desperate young family of undocumented Nicaraguan immigrants and the African American lawyer who becomes their advocate. The story has to do with divorce, the pain, the anger, the struggles of blended families, and the healing. There are also some timely immigration issues with the two main characters struggling over how to follow their consciences and their hearts when faced with the ethical dilemmas that swirl around them when they befriend the undocumented couple who are themselves struggling to make a better life for their American-born child. And though the story line as it unspools covers some heavy issues, divorce, child custody, immigration, and sexual manipulation, “Equal and Opposite Reactions” is a comedy at heart, so my hope is that anyone who likes a good laugh, or likes a good cry, or likes to laugh ‘til they cry, might find it an enjoyable story. Oh, I don’t know…writing was something I always just kind of did, without knowing if was even something I could do. But one early attempt I recall was a script for a puppet show I wrote for my Girl Scout troop back when I was in 7th grade. I took the Opera “La Boheme” – all right, how many 12-year-olds listen to “La Boheme?” – and wrote it into a puppet show, death scene and all, and we made a puppet Mimi and a puppet Rudolfo and a puppet Musetta and puppet versions of a few more of the characters. But then when it was time to put on the puppet show I was so nervous and afraid that I pretended to be sick and stayed home. However even in my absence the show was a great hit with the Girl Scouts, from whom I received my first critical acclaim. Though it seemed that I was always writing something, I never really started thinking of myself as a writer until after I was grown and had children, and suddenly my children became my inspiration, giving me subject matter that I was abundantly interested in writing about. In fact I continue to find children a source of inspired material for my writing. 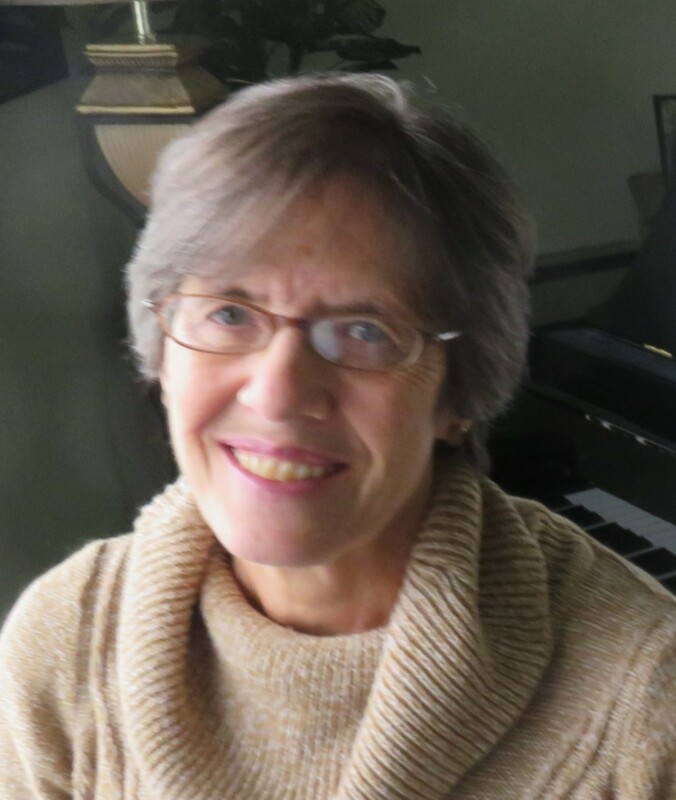 Most of my stories have children as some of the characters and, being a piano teacher who specializes in teaching very young children – I’ve taught children as young as three years old using the Suzuki Method – I have lots of experience with children and with how they act, how they talk, the kinds of things they say, etc. But I did get to thinking about what would happen next, as well as what would have happened before, so I figured it out and I expanded the story of “He Looked Nothing Like Prince Charming” in both directions, what happened before and what happened after, and I wrote it into a play – I was in my playwriting phase back then – a play that I called “Equal And Opposite Reactions.” I submitted this play to many producers, all of whom rejected it, often with a remark along the lines of, “oh, really good story, really enjoyed reading it, good luck getting it produced.” But then there was one guy who wrote back, “this is a good story but there are too many children, too many scene changes, the staging would be too difficult.” And, you know, that was like a “Bingo!” moment for me, that this story was meant to be a novel. So anyway, it’s been a long Ulyssian odyssey of many years and many stops along the way from the idea to the novel, but that’s how it came about. The title comes from the physics theorem, “For every action there is an equal and opposite reaction.” I chose this reference for the title because the story is I guess what you’d call a manifestation of that law of physics as it plays out in human relationships and interactions, which, as we know, can sometimes be quite volatile – at least they are among the characters in my book. My fiction tends to be comedy, however I write a daily blog, “Ailantha,” that chronicles my daily observations as a wide-eyed visitor to this most interesting though at times bewildering planet. In truth, even though I write every day I always find writing a challenge. For me it’s always a struggle to find just the right word, to create just the right turn of phrase, to present the idea or the image clearly yet inventively. All the years I’ve been writing, and yet I still wonder if writing will ever get any easier. I set the book in working-class Northeast Philadelphia where I grew up, filled it with the sort of characters I knew back then and told it in the voices I heard growing up.In fact I knew a number of my characters including Silvio the plumber, who I dated for a while; well, of course he wasn’t a plumber back then, we were both kids, nor is he one now, as far as I know. I just made him into a plumber in my story. Well, I do travel quite a bit, but rather than a requirement, traveling has been more of a source of inspiration for my works. For example, in my novel I made my two undocumented immigrants Nicaraguan because I’d been to Nicaragua, studied Spanish there, and had made friends there, and so I knew a bit about the people and had a mental photograph of the location to work with. I’ve also walked the 490-mile (780 km) Camino de Santiago de Compostela through the mountains of northern Spain twice, and both times I wrote a daily blog of the experience. So it was, again, more a matter of the experience inspiring the writing, rather than the writing demanding the experience. Anyone who’d like to read my Camino blogs can find the first, entitled “Tighten Your Boots” at www.pattiliszaky.weebly.com and the second, called “…And Lighten Your Pack” at www.andlightenyourpack.com. Actually, the second blog is better because that one has lots of pictures of the Camino. Well, before the book was launched my publisher gave me the choice of having the cover designed by the Black Rose Writing art department or choosing my own from some available stock art designs. I looked over the stock designs and found one that was black and white silhouettes of people talking to – and at – each other. I was captivated by this picture and requested it for my cover. I believe my subconscious affinity for that particular black and white cover art must have come from having spent years looking at piano keys all day. My novel is populated with a wide variety of characters: city characters, quirky characters, struggling characters, gay characters, straight characters, white characters, characters of color, predatory charactersjuxtaposed with kind characters with generous hearts. We are all such a variety of characterspopulatingthis planet and we all struggle at times, we all make mistakes, but we all need to forgive each other and ourselves for the mistakes we make. We all need help at times, we all need understanding, and most of all we all need to love and be loved. I’d say my favorite new author is Kevin Kwan, the Singaporean author of the hilarious – and informative – comedy “Crazy Rich Asians” and its sequels. As far as my favorite author of them all? Hmmm…hard choice. I think I’ll go with American author Philip Roth. I love his humour, his irreverence, and mostly the brilliant use of language with which he breathes life into his characters as they navigate the pratfalls of the human comedy. I think it would be a college literature teacher who once gave me a grade of “A+++” on a short story analysis, not because I was such a great writer, but because this teacher felt I was so good at seeing into and expressing the writer’s intention in his story. That teacher’s remarks didn’t really affect me at the time, but later, when I started sending stories to publishers with the hope of being published, I’d encourage myself not to be afraid to let someone else see and judge my work, recalling that there was at least one person out there who once liked something I’d written. Oh yes. A career, a calling, that which fuels my life, if not my bank account. The world sees me as a piano teacher, but in my heart I’m a writer first. Yes. It’s quite amazing, but for all the times I read over the manuscript and all the drafts, when I read the book I found about a half a dozen places where I thought, “Oh, I should have used a different word here,” or, “That phrase could have been better constructed.” So I hope to fix those spots in the next edition. Yes. I learned the importance of creating a flow chart and a timeline of events. I learned the importance of writing a synopsis of each chapter as soon as I finished each chapter so that I could easily go back and reference what happened at what point in the progression of the story line. I learned that one must create a history and background for one’s characters and write it all down even if one doesn’t share all the details of the characters’ past in the novel. I think this is necessary in order to give one’s characters depth and make them into real, believable people for one’s readers. Well, I could see a young NoomiRapace as the main character, Sally, and for the Silvio the plumber I could see a young Channing Tatum. For Silvio’s ex-wife, the seductive Trysta, I could see Scarlett Johansen and I would give the roll of Sally’s ex , Darren, to Charlie Day (even though I gave Darren brown eyes and Charlie Day’s eyes are blue). Oodles. First, my advice to fledging writers is to absolutely subscribe to “Writer’s Digest,” a monthly magazine full of advice on the craft of writing, how and where to submit, plus interesting writer interviews and pieces on the writing life. It also lists writers’ contests and events and sponsors its own contests as well. Another piece of advice: The latest edition of “The Writer’s Market” should be every writer’s bible on where to submit manuscripts. This book, published yearly by “Writer’s Digest,” lists all the reputable literary agents, book and magazine publishers and also lists writing contests around the country. Or if one writes a specific genre, one could rather buy one of the “Writer’s Market” genre books, such as “Novel and Short Story Writer’s Market,” which is the one I buy, “Poet’s Market,” “Children’s Writer’s and Illustrator’s Market,” etc. But do check out the “Writer’s Market” series. It’s the only submission guide you want. And one more very important piece of advice: Writers, once your manuscript is finished, post it on “authors.me.” This free-of-charge site is a sort of a headhunter site from which many agents and publishers, such as my publisher Black Rose Writing, prefer to select their submissions for publication. Some agents and publishers require that all submissions to them be made through “authors.me.” Even though submitting through “authors.me” is kind of like applying to an Ivy League college ― there are pages and pages of required writing samples ― in that one must write out coherent and polished essays including a synopsis, biography, one’s writing history, the sources of one’s inspiration, one’s favorite line of the book, one’s favorite character, etc, the essays one writes to sell their book to agents and publishers through “authors.me” will be helpful down the road when one needs synopses and blurbs to market one’s book to the public. Yes. Thank you all for reading my book, I hope it was an enjoyable and worthwhile read for you. And though I don’t know most of you, I love and appreciate you all. David Copperfield. I love Charles Dickens, too. The first book I remember reading was called “Cherry Ames, Student Nurse.” This book was the first of a series about a sweet, beautiful, loveable, wonderful girl named Cherry Ames who becomes a nurse. I went on to read all the books in the series and for a brief while I wanted to grow up to be a sweet, beautiful, loveable, wonderful nurse just like Cherry Ames. I guess it’s a sign of brilliant writing when the reader wishes to become the character. It takes very little to make me laugh, and anything that tugs at my heart – and I have a very tugable heart – tugs at my tear ducts as well. I would love to meet the young American musical political satirist Randy Rainbow. I’d love to congratulate him for his razor wit, clever use of language and music, and his detailed knowledge of both historical and current events. I’d like to ask him about his childhood, his education, and what he did for a living before he made his living as a musical satirist. Well, I practice the piano quite a bit, but, being a piano teacher, I guess that doesn’t count as a hobby since it’s an occupational requirement. I used to love to crochet, but whenever I got a crochet hook and a skein of yarn in my hands it was as if I were on crack cocaine: once I started crocheting I couldn’t get myself to stop, I could spend the whole day just hooking yarn around needle, mesmerized, in a sort of crochet-induced fugue state. So I stopped crocheting cold turkey and I avoid yarn stores. Jigsaw puzzles are the same story so I have to avoid them, too. So I guess I don’t really have any hobbies at the moment, but if I ever did pick another one up I’d likely become just as obsessive, so I guess it’s best if I just avoid hobbies. I don’t watch television at all, ever. But I love films, and I go to the movies at least once or twice a weekend, and sometimes I even catch a morning matinee with a friend before I go to work in the afternoon. I love independent, arty, cerebral films, foreign films, non-mainstream films. I love the films of Spike Lee, Pedro Almodovar and John Sayles among others. Fortunately there are several independent movie houses in Columbus that show those kinds of films, and I’m a regular at those movie houses. I love Italian, Greek and Mexican food, though sometimes you just crave a good burger and fries. Green is my favoritecolor. My favorite music? Hard to say, though I do love the old classic Broadway show tunes. Well, assuming we’re just talking theoretically, and that said discontinuation of writing is not due to some condition that has likewise compromised any of my physical abilities, I guess I’d maybe do more gardening, more house cleaning, watch more movies on Netflix and – Lord help me – slip back into crocheting and jigsaw puzzles. Yes, I write a (mostly) daily blog called “Ailantha” in which I, as a visitor to this planet, post my various and sundry observations, which I hope will be of interest to my fellow visitors. Readers can find my blog at www.ailantha.com. Thank you again, Fiona, for your interview and for letting me share a bit of my story with your readers. Have a beautiful day! I see what you mean about the power of contrasting black and white in your cover. Not something I would’ve tried, but i think it works quite well. Best of luck to you. Oh, thank you, Armen! And best wishes to you, too!